With over 30 years of milling experience, from small commercial parking lots to mega highway projects exceeding 100,000 tons of milling. Our fleet of ten ROADTEC milling machines are capable of milling, trenching, micro milling and 3-D milling nearly any width from profiling to 13″ deep, there is no project too large or small that we can’t handle. In July of 2014, we were one of the first contractors in Michigan to perform the new micro milling specification by completing over 200,000 syds of micro milling in the western portion of Michigan’s Upper Peninsula on US-2. With the use of our extensive fleet of milling machines we have a tremendous range of trenching capability. We can trench a wide range of widths and depths up to 13 inches. With our full size mills we can trench out to any width using multiple passes or we can trench narrower widths using our ROADTEC 400. This particular mill has a segmented drum allowing us to trench two to four feet. Trenching shoulders with the use of a mill is hands down quicker, cleaner and more economical than using conventional excavating equipment. In our 30 history, we have trenched thousands of miles throughout the State of Michigan. Every year in Michigan, Lois Kay Contracting completes over 300,000 feet of MDOT typical Detail 7, Detail 8 and various other modified types of joint repairs. In addition, we fill these repaired joints with over 20,000 tons of hot mixed asphalt Hand Patching. Our crews have been fixing failed joints throughout the State of Michigan for over 30 years from the Wisconsin border to the Indiana/Ohio border. Our crew is typically staffed with up to 16 people as necessary to keep the small mills, backhoes, vacuum trucks, bobcats and rollers moving down the road. It is our goal to get the work done as quickly, efficiently and safely as possible to keep the motoring public moving on time. From small parking lots to major roadways, we have done it all. We have completed numerous roadway and commercial projects throughout the greater tri-city area. Our scopes include removing the old pavement, curbs, sidewalks, excavating the earth, installing the new aggregate base, curbs, roadway pavements and associated sewers/catch basins. Over the years, we have rebuilt countless City of Saginaw and City of Flushing roadways in addition to malls and large scale retail parking lots. Asphalt recycling is a by-product of the work that we do everyday, over the years Lois Kay Contracting is proud to have done its part in saving millions of tons of asphalt from going to waste in landfills. Our fleet of milling machines reclaim a large amount of RAP (Reclaimed Asphalt Pavement) every season from the roadways of Michigan. These reclaimed materials are then sent back to Asphalt plants where a percentage of the RAP is allowed in every new batch of asphalt leaving the plant and also is used for a base material for many Roads, parking lots and driveways across the state. 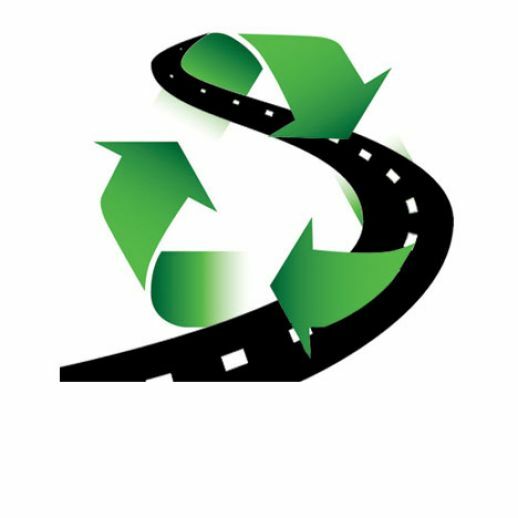 This industrial process of recycling asphalt back into new usable material has been proven to have an extremely positive financial and environmental benefit. To understand what a Asphalt Milling machine does Click Here for Wikipedia’s definition, For more information from the National Asphalt Pavement Association Click Here , and for even more information from the Federal Highway Administration Click Here. Our other services include shoulder gravel, asphalt paving, geotextile separator installation, shoulder corrugations, concrete cutting and catch basin reconstruction.